A well-balanced approach to increased physical fitness would not be complete without the addition of a strength training program. While aerobic activity is great for getting your heart rate up, strengthening your heart and lungs, and relieving the symptoms of depression, adding a strength training program will provide you with even greater benefits. 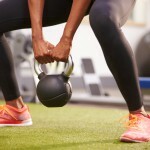 Some of the benefits of a strength training program include things such as keeping your weight down, protecting your bones and muscles, increased strength, improved posture and balance, the prevention of disease, and the ability to burn more calories effectively. If any of these benefits sound desirable to you, a strength training program ought to be on your mind! When you are ready to add a strength training program to your exercise routine, turn to me. I will provide you with personalized services that will help you increase your lean muscle mass, lose body fat, and boost your mood and confidence levels. * When you meet with me, together, we can go over your current lifestyle choices and find areas in which improvement will lead to the results you desire. As you work on implementing the program we have designed, I will periodically check up on your progress, and alter your program according to your results in order to maximize the effectiveness of the program. In addition to pushing you toward success, I will give you the encouragement you need to excel. Let me assist you in achieving greater health today by contacting me about adding a strength training program into your routine!